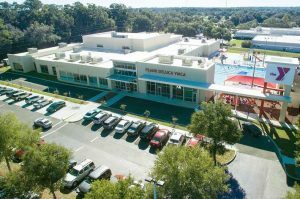 In 2014 the Marion County YMCA was renamed the ‘Frank DeLuca YMCA’ and broke ground on a $5.5 million expansion and renovation. By January 2016 the renovation was complete adding 14,000 square feet, new locker facilities, a lobby, cafe and meeting rooms. The project’s biggest contributor was DeLuca Toyota Owner/President, Frank DeLuca who donated $1 million to the project. More than 50 years ago, in his teenage years DeLuca became involved with the YMCA in Orlando, FL. He has been involved with the YMCA in Ocala since 1996. For more than 25 years, Frank DeLuca and DeLuca Toyota has financially invested in the YMCA to provide scholarships to those who otherwise could not afford to participate in the the life-changing health and wellness programs offered by the Y. Some of those programs include Youth Achievers, a before school program that teaches valuable real-life skills; youth basketball, volleyball, soccer and swimming and adult yoga, silver sneakers programs and group exercise programs. LIVESTRONG at the YMCA is a program for cancer survivors catered to their individual needs, where certified instructors provide post-rehabilitation exercise and supportive care. The Frank DeLuca YMCA also provides a diabetes prevention program helping people with prediabetes eat healthier, increase physical activity and lose weight. Additionally the Frank DeLuca YMCA partnership has allowed DeLuca Toyota employees and their families to take part in the many health and wellness activities offered by the YMCA so they can practice healthy lifestyles. 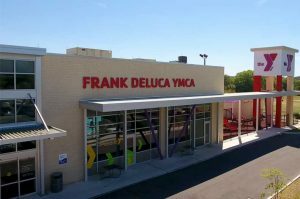 During the past 5 years membership at the Frank DeLuca YMCA has increased from less than 4,000 members to more than 13,000 members today. The Frank DeLuca YMCA is projected to serve greater than 30,000 people in the next five years. “Helping to improve the overall health and well-being of our community and build character in local youth is a true blessing to me. I am honored and proud to support our Y and the great community of Ocala.” said Frank DeLuca. In 2017 Frank DeLuca received the highest honor from the YMCA of Central Florida, the John Sterchi Award, which recognizes those who provide outstanding lifetime support. Entry date: April 3, 2018, 8:06 pm. You can follow any responses to this entry through RSS 2.0. Responses are currently closed, but you can trackback from your own site.